Introducing the new Timesheet Mobile! 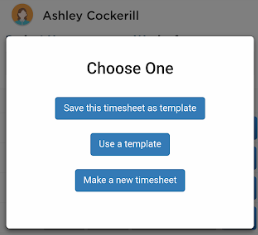 WHAT'S NEW ON THE TIMESHEET MOBILE? The new timesheet on mobile is made better! Now you can submit all your timesheets for the week with just a few taps! These shortcuts allow you to input your mostly used time for the fields. 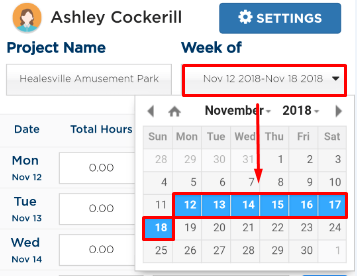 In addition, you may opt to simply type in the total hours you worked for each day or select the time you started and ended your work from the given time options. Using the Select Action button, you could easily add row, delete row, clear row, apply the first row's content to all rows, and copy the content of the row above it with just a few taps. Would you still work on the same jobs/tasks for the next weeks? 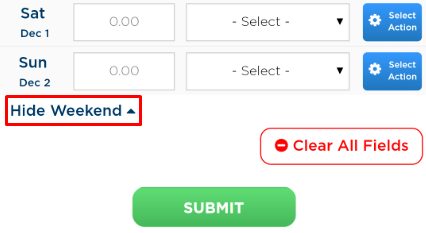 Upon loading of the form, you will have option to save it as a template and use it for the following weeks. Submitting timesheets even made easier and faster. Have full control on your timesheets! 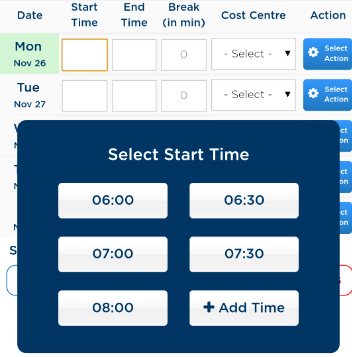 We've incorporated the feature on timesheet desktop to your mobile devices. Now you can modify what columns will be displayed. 3. You can modify which columns are displayed by clicking the Settings button. 4. You will be redirected to the timesheet form. Select Project Name. Note: This field can only be edited if you're outside project. 5. Select which week you will submit your timesheet. By default, the current week is highlighted. Your selected week will display on your form. Note that this depends on the week. If you want to submit for a specific day, just fill out the specified field. 6. 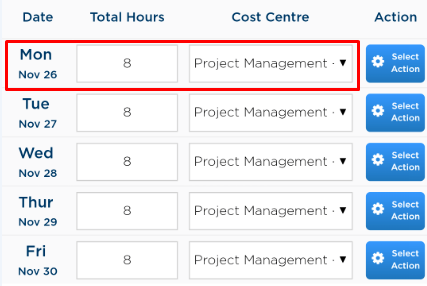 By default, the displayed column is Total Hours. Input the number of hours you rendered for the specified day. 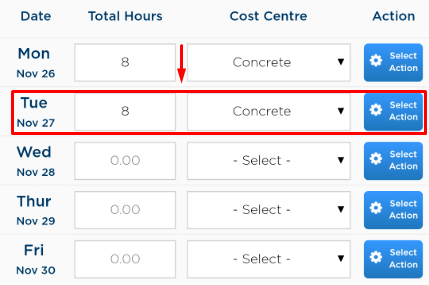 If the Total Hours column is not displayed, you may use the time columns. Input Start Time. Time Shortcuts allows you to easily input your mostly used time when submitting a timesheet. If in case your desired time is not on the shortcuts, click Add Time. This will allow you to input exact time or any time that is not shown by default. 7. Select an End Time. 8. Select Cost Centre (optional). 9. Click Select Action > Apply to All if you want the first row to be copied on the succeeding timesheet entries. 10. On the other hand, click Select Action > Copy Above if you want the above row to be copied on the current row you are on. 11. 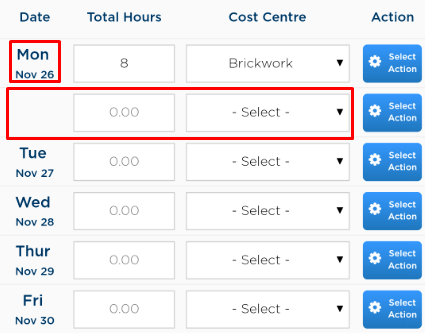 Click Select Action > Add Row to add another entry of timesheet under the same day. 12. By default, weekends are hidden. Click Show Weekend to display rows for Saturday and Sunday. Click Hide Weekend to hide these rows on the display. 13. After filling out the fields, click Submit. 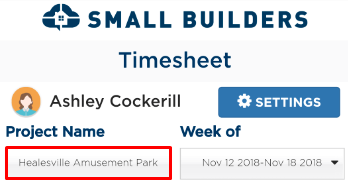 You will be directed to the submission summary to view your submitted timesheet form.